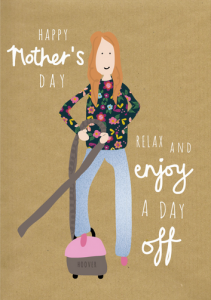 Northern Ireland based artist Ali Marriott has printed Mother’s Day Cards which are perfect for any Ballymena mammy. 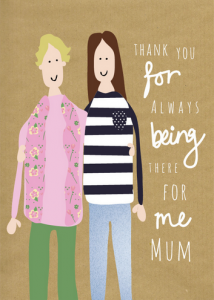 Ali’s card feature her hand drawings and quirky phrases which are unique and offer a special alternative to the average Mother’s Day card. Mother’s Day this year is on Sunday 15th March. 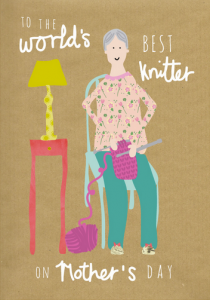 Ali Marriott was started in November 2010, when Ali decided to illustrate and hand make some cards as a hobby along side studying a degree in Graphic Design. The business has slowly grown over the past few years, from just designing greeting cards to now selling a small range of stationery and gift ideas. We stock a number of shops throughout the North and South of Ireland and continue to grow our product range and designs as the business grows! 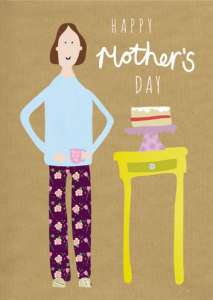 I (Ali) love what I do, it’s a dream job, illustrating fun little cards and gifts that people actually want to buy! I couldn’t believe it when I got my first sale in 2011 when I started to sell my cards online and at craft fairs. We are proud to say our cards and gifts are printed locally here in Northern Ireland and in the U.K. They are then handpacked by myself in a cello wrapped cover. Its just me in this small business but we hope one day soon, we might have a wee team of people here at Ali Marriott.